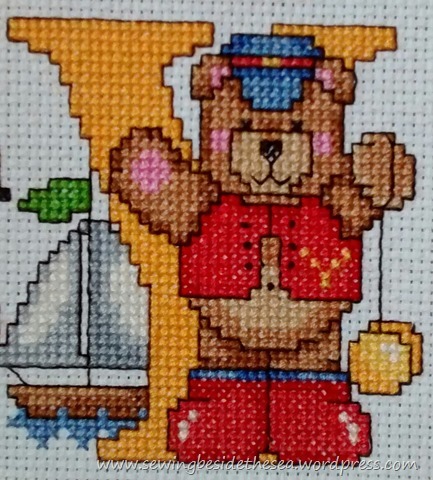 Young yachting bear says Yes to yoyos! I must admit, the final one is going to be a challenge! You are moving along fast on this one! Looks great! So cute! One more letter!! Woo Hoo! So exciting, just one more to go! How do you plan to finish it? Thank you Anita 🙂 It’ll be framed and hung on the wall eventually. Haha! It really does look like a lantern 🙂 The bear is also making a Y shape with his arms and body. I think he’s singing and dancing to the song YMCA by the Village People. There’s sure to be a Youtube video if you don’t know the song/dance.